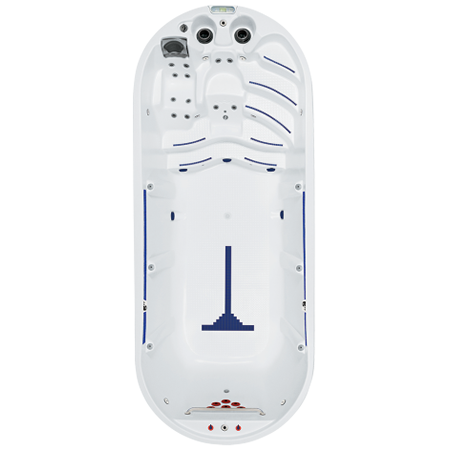 Dimension one swim spa line boasts the largest swim lane in its class for ultimate flexibility in the water. The included HydroSport Essentials kit gets you started with resistance bands and bars so you can start your strength-training regime right away! There are so many exercises you can do in your AquaFit, that it becomes your personal underwater gym. Plus, the resistance provided by water is twice as effective while being much gentler on joints. 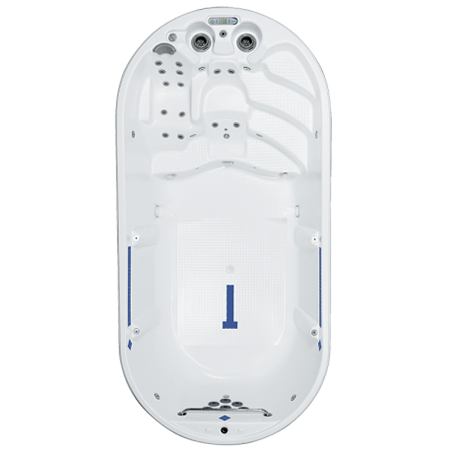 If you want the complete experience, the “Plus” swim spa model offers a dual temperature option where you can exercise in cool clean water on one side and relax your muscles in the warm, bubbling water on the other side, for a full exercise and cool down session. 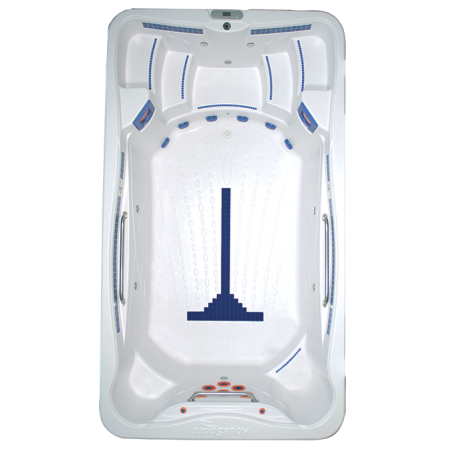 The Play® and Plus® are perfect pool replacements, designed for family time, relaxation and exercise. The Sport® and Pro® models are perfect for a more serious workout, equipped with everything you need to start breaking a sweat! 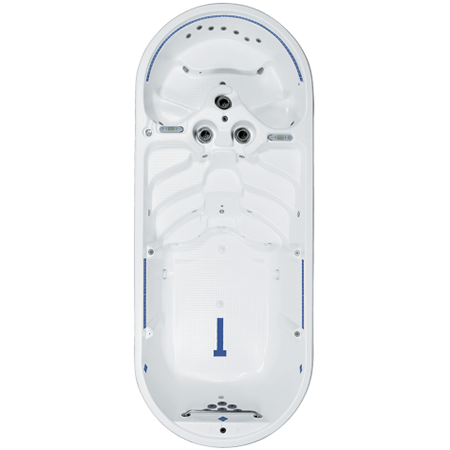 Finally, swim spas can be installed above or below ground and do not require the permits required for regular swimming pools. They are also more energy efficient and backed by the best warranty in the business. So, whether it’s swimming against powerful jets, jogging, rowing, lifting, soaking or playing, there is an AquaFit swim spa that can fit your lifestyle and needs.